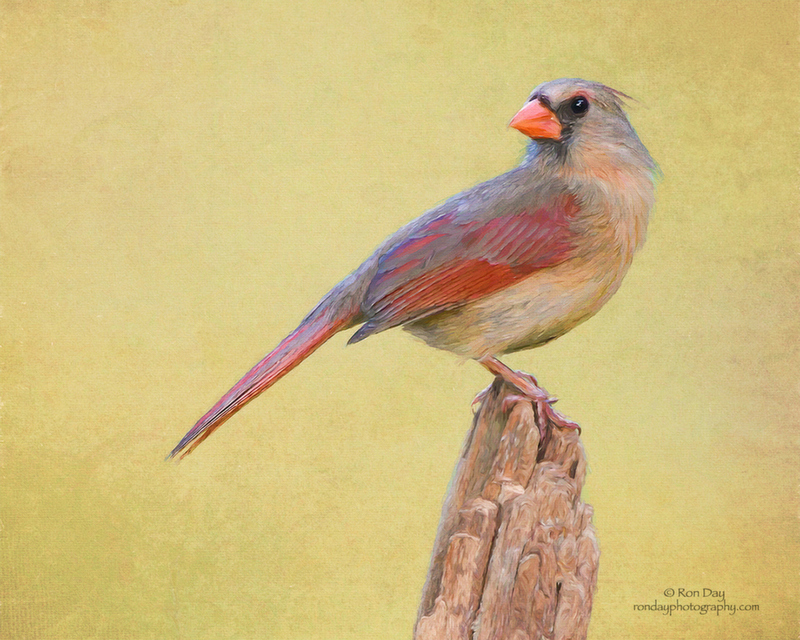 I photographed this female Cardinal last May, and painted her using Topaz Impression II. Please click on image to view it full size. Thanks. Nikon D500, Nikkor 500mm +1.4x, f/6.3 @ 1/320, ISO 3200, Gitzo Tripod with Wimberley II Head. She's gorgeous, Ron! A truly painterly vision with a wonderful contrasting background and lovely textures throughout. Such a joy seeing the female featured as well. . Superb! This is one of your best, Ron! Absolutely beautiful in every way. A pleasure to view. She's gorgeous, Ron! A truly painterly vision with a wonderful contrasting background and lovely textures throughout. Such a joy seeing the female featured as well. ;). Superb! Thank you, Cindy. I have always thought the red, grey and brown tones on female make her just as beautiful, if not more so, than the all red male. So your observation is spot on. Very kind of you, Carol. Your input and observations are always welcomed. Thank you. You are the master of this Topaz impression. Love this! Peter, thank you for the kind words, they are greatly appreciated.